The late leftist Argentine writer Julio Cortázar made an interesting observation in his book Around the Day in Eighty Worlds: "All profound distraction opens certain doors. You have to allow yourself to be distracted when you are unable to concentrate." Fidel Castro inaugurated the Fifth Congress of the Cuban Communist Party on October 8th 1997. These Congresses were supposed to be held every five years. Its been over 13 years and now in a few days the Sixth Cuban Communist Party Congress will be inaugurated with great fanfare. 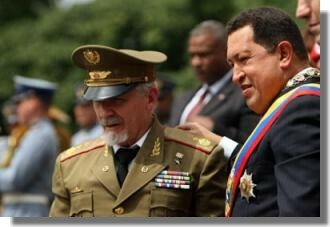 Raul Castro announced the congress in November of 2010 along with "general guidelines" to be approved at the Congress. The main export out of Cuba is nickel and has suffered a fall in prices combined with rising food prices internationally and an inefficient state-run economy that has forced the dictatorship to cut imports over the past two years. 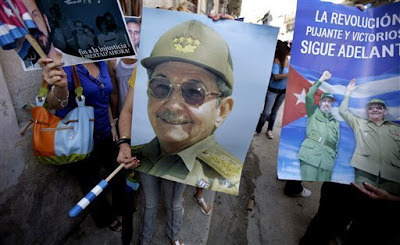 In September of 2010 Raul Castro announced plans to lay off one million state employees. Unwelcome, for the dictatorship, increased international scrutiny on human rights in Cuba following the death of Orlando Zapata Tamayo, the hunger strike by Guillermo Fariñas Hernández and the brutalization of the Ladies in White raised the profile of Cuba's nonviolent democratic opposition movement. Cuban youth are unhappy, disillusioned and want change. As mentioned earlier the last party congress was over 13 years ago and this presents an opportunity to divide the youth between those who having lived through the process and have no illusions and those undergoing it for the first time that will participate in the gatherings leading up to the congress with the illusion that it will make a difference. Children born under the dictatorship old enough to remember the previous party congress have a different perspective and through cyberspace are expressing themselves. For example Yoani Sanchez, old enough to remember her first political activities as a young pioneer in the 1970s shouting insults at President Carter has written thoughtful essays on the subject of the congress on her blog Generation Y. The Draft Guidelines for the Communist Party’s VI Congress is a good exercise to sharpen our senses, a model example to evaluate the practice of speaking without speaking, which is what state discourse is here. 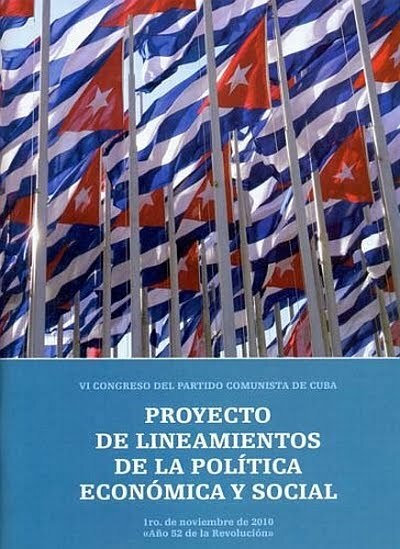 Its more than thirty pages of text contain only economic proposals, more appropriate for the Ministry of Finance than for the compass of a political party. It’s true that it lacks the language of the barricade, resolving everything based on slogans, but it suffers from being a sugar-coated list of what could be done if the system really worked. For those who think my skepticism is exaggerated, take a look at the points from past congresses and check to see how many of them really came to pass. With great effort I’ve managed to read the eleven pages of “The Transformations Required in the Public Health System.” I have the impression that if we took out all the ideological apologies -- such as, “the direction of our glorious Party,” or this one, “the immense historic responsibility we have for the future of the fatherland” -- the text would only be three pages. Sadly, the ability to synthesize has never been a virtue of those who govern us. To make matters worse, in the meat of it there’s not much there, other than a shifting and rearranging of equipment and personnel from here to there, the well-known and prioritized “internationalist” work, and a strange insinuation that there is a surplus of doctors -- I say it’s strange because it’s true but I didn’t expect them to say it. My friends tell me (the meeting in my neighborhood hasn’t happened yet) that things got hot. One retiree said it was time to see young people leading the country, another said he was tired of discussing planning and reforms that never changed anything, a lady announced she is retiring because as long as they aren’t talking about raising wages they can’t count on her, and the Party member murmured, ending the meeting, which would be the last time the core would be called together. Raul Castro’s government has reached out to a people who are tired and skeptical, and bored with seeing the same movie over and over. He cleared his throat before explaining why they were meeting, in the sober drama that is rarely seen anymore. In his hands he held, like a script, the blue booklet with the guidelines for the Sixth Communist Party Congress, and behind the table those present included municipal and provincial officials. Before yielding the floor, he stressed that they should stick to what was written on these pages and only discuss economics. He stressed this last word to emphasize it, to ensure that they didn’t claim their right to “free association” or demand that they be allowed “to freely enter and leave the country.” E-CO-NO-MICS, he stressed again, widening his eyes and raising his eyebrows to emphasize it again, while staring directly at the most troublesome employees. The next day the workplace had returned to its routine. A mechanic who had been sitting very close to the president no longer remembered a single one of the guidelines. The girl from the warehouse summed up the discussion of the previous afternoon for her friends with a simple, “Ah… more of the same.” And the manager’s chauffeur skeptically shrugged his shoulders when a colleague asked what had happened. Many experienced that day as sample of what will happen in the Conference Center next April, a sneak preview of the Cuban Communist Party Congress. In just a few months they will see the same staging unfold on their TV screens, but this time it was they themselves who were the actors, raising their hands in unanimity before the stern gaze of the director. In the case of the Castro regime over the past 52 years the ability to engage frequently in profound distractions has opened the door to its own survival. Unfortunately, Cuba observers all too often have followed Cortázar's advice and allowed themselves to be distracted when unable to concentrate. The same phenomenon was also seen among Kremlinologists who never saw the collapse of the Soviet Union as a possibility. When the dictatorship announces the layoff of a million state employees because they can no longer pay them they call it reform and a good part of academia goes along with it. At the beginning of 2011 the regime began to lay off workers. When people power movements erupted in Egypt and Tunisia capturing the imagination of the world the regime slowed down and suspended the layoffs out of fear of creating conditions for their own demise. If there is one lesson over the past 52 years it is that political considerations have priority over economic considerations in order to preserve the regime. When it is convenient to decentralize in order to survive the regime will do that as it did in the early 1990s and as it appears to be doing today. At the same time when things improve and regime survival depends on the re-centralization of economic control at the expense of economic growth as was the case in the late 1990s and through the 2000s they will do that as well, but the important consideration is that the Cuban people are tired of this regime and want change. University Academics Maria J. Stephan and Erica Chenoweth in their 2008 study "Why Civil Resistance Works: The Strategic Logic on Nonviolent Conflict" compared the outcomes of 323 nonviolent and violent resistance campaigns from 1900 to 2006. They found that major nonviolent campaigns have achieved success 53 percent of the time, compared with just under half that at 26 percent for violent resistance campaigns. Finally there study also suggests “that nonviolent campaigns are more likely than violent campaigns to succeed in the face of brutal repression.” This also depends on the nonviolent opposition movement having a strategic vision and maintaining its non-violent posture even under the worse repression. Looking back there are two high profile examples that indicate that Mohandas Gandhi was right. Between 1940 and 1945 under the Nazi occupation of Denmark many Danes were able to organize an effective and completely nonviolent resistance that undermined German war fighting capability and successfully blocked efforts to deport and exterminate its Jewish population to the Nazi death camps by first hiding Danish Jews then ferrying them out to neutral Sweden. An equally dramatic case took place in Germany in February and March of 1943 when German (non-Jewish) wives married to Jewish men and their relatives organized mass demonstrations in Rosenstrasse Street in Berlin to protest their husband’s arrest and deportation escalating until the men were released and returned home. "But the Jews of Germany can offer satyagraha under infinitely better auspices than the Indians of South Africa. The Jews are a compact, homogeneous community in Germany. They are far more gifted than the Indians of South Africa. And they have organized world opinion behind them. I am convinced that if someone with courage and vision can arise among them to lead them in non-violent action, the winter of their despair can in the twinkling of an eye be turned into the summer of hope. And what has today become a degrading man-hunt can be turned into a calm and determined stand offered by unarmed men and women possessing the strength of suffering given to them by Jehovah. It will be then a truly religious resistance offered against the godless fury of dehumanized man." 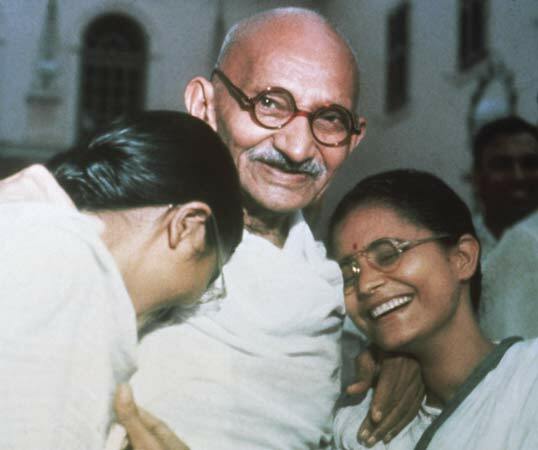 The attacks against Mohandas Gandhi continue because his political philosophy is relevant in today's world and offer's individuals the insight into the real nature of power which is that of the individual giving or denying his or her obedience to a central authority and the great power that signifies over tyrants and dictators of all ideological stripes. In reality Gandhi needs no defense because as Michael Nagler points out at the Metta Center blog: "Gandhi had a genius for turning apparent setbacks in to opportunities. I have a feeling he’s going to do the same with this one." He has been called the man who toppled Mubarak, a description he says demeans what he sees as a wholly Egyptian uprising against authoritarian rule. Before that, he was the victim of a whispering campaign in which his work was alleged to be a US front for regime change in the guise of citizen uprisings. He calls those allegations “a joke” and reminds that he went to prison in the US for civil disobedience there. From Dictatorship to Democracy is perhaps his best-known and most-influential work. Renowned as a handbook for strategic non-violent protest around the world, it originated in Dr Sharp's work with Burmese opposition and ethnic groups in the early 1990s, and was intended as a blueprint for the liberation of the country from military rule. With the army in control since 1962, and seemingly entrenched behind a parliamentary makeover, the challenges facing activists and opposition groups in Burma are among the most daunting anywhere. Now 83 years old, and with a CV that dates back to working with Norwegian opponents of Nazi/Quisling rule during World War II, Dr Gene Sharp shared his thoughts on the recent events in North Africa and the Middle East with Simon Roughneen, as well as outlining why he believes that resistance in Burma has failed to dislodge the military rulers of that country. Question: Dr. Sharp, your interest in Burma and the pro-democracy movement there goes back a long way. Can you tell The Irrawaddy readers about the history of your engagement with Burma? Answer: I was brought to Burma by Robert Helvey, a former US military attache in Rangoon, who became sympathetic to the groups opposing the regime, particularly the Karen. I was asked to write some articles for Khit Pyaing, a Burmese and English journal based in Bangkok, and run by the late U Tin Maung Win, and those eventually became part of the publication known as “From Dictatorship to Democracy.” I also visited Manerplaw a few times and met with Burmese exiles in Thailand. Q: Why in your view has non-violent resistance failed, so far, to undermine military rule in Burma? What are the factors differentiating Burma from recent changes in Egypt and Tunisia, as well as older examples such as the Color Revolutions in the former Soviet bloc, Serbia in 2000 and the Philippines in 1986? A: I think there are a few explanations for that. For a start, many of the opposition groups, the various nationality groups such as the Karen, Mon and others, they all had their armies and mini-armies, and they thought they would be weakened by departing from those and going over to non-violence, or “political defiance” as it was known in Burma. Other groups, such as the All Burma Students Democratic Front (ABSDF), had their mini-army, and people in the camps, though temporarily agreeing to switch over to just political defiance, reversed that after a couple of years. All the various armed groups thought they could defeat the Army, but I think that was a foolish judgment on their part, as the Army was bigger and stronger and had more weapons. The so-called National Coalition Government of the Union of Burma, which isn't really a coalition government at all, with headquarters in Washington DC—not very close to Burma—they had their own ways, they thought, to get independence and defeat the government, but they didn't show much signs of learning something new. And, Aung San Suu Kyi, for all her wonderful qualities, and her heroism and inspiration for those who believe in democratic rights and the rights of Burmese people—she is not a strategist, she is a moral leader. That is not sufficient to plan a strategy. Although “From Dictatorship to Democracy” was written for Burmese, there were no Burmese groups who really took that analysis seriously or used at as a strategy for the liberation of Burma. People got arrested and sent to prison for carrying it, in Burmese and other languages, they could organize very powerful and brave demonstrations in Rangoon and elsewhere, but they did not plan a grand struggle. If you don't plan, if you don't have a bigger strategy, you're not going to win. Q: Do you see any change in Burma since the elections last November and the convening of Parliament on Jan 31? Is there now a viable outlet for non-violent opposition to express itself in Burma, without having to take to the streets, without having recourse to some of the methods you have outlined over the years? A: I am not sufficiently up to date on the details of the situation to comment, I am sorry. Q: Moving away from Burma, what do you say to conspiracy theorists who allege that your ideas are a convenient intellectual front for US or Western interference or intervention in the internal affairs of sovereign states, a sort of power projection masquerading as locally motivated non-violent resistance? A: It is a big joke. We have had no support from the US government or military or from intelligence agencies. Our office is very small. We have very little money to operate. Someone is trying to discredit the analysis we have offered, and that is all there is to it. Such charges are false. Q: Some of the critiques of your work, by seeing an external or meddling hand in what might be local or nationally focused events, are themselves guilty of a sort of colonialism of the mind, implying that Burmese or Egyptians or whoever the case may be are incapable of taking action autonomously, or reacting themselves to the conditions in their own country, without a guiding hand from outside. A: I think that is a good point, and a key thing to remember when people try to discredit the analysis I offer, which is based on work over decades in many countries, and contact with freedom-loving people in many parts of the world. Often it is people who believe in violence who attack us, because they want to weaken peoples adherence to non-violence, and to the practical usefulness of a strategy of non-violence. Look at those people and ask what do they offer? Genuine criticism is always welcome, but proffering false charges is ridiculous. For those who want to make such allegations, to say that I am a tool of the United States government, they should remember that I spent over 9 months of a two-year prison sentence for civil disobedience and for criticizing the policies of the US government. Q: Your work has come back into public focus due to events in North Africa and the Middle East. One newspaper headline went as follows: “Gene Sharp, the 83 year old who toppled Egypt.” What is your take on that? A: I may or may not have provided some analysis that fed into the actions taken by the people there, I have no confirmation of that, but the Egyptian people deserve the credit for toppling the Mubarak regime, not me. Q: Since Tunisia and Egypt, the protests in the region have changed. Libya's uprising has become an armed revolt. Do you feel that—even with UN Security Council and Arab League support—it is right to intervene in Libya at this juncture? A: It is not the course of action I would have chosen. I think the Libyan democrats did not do their homework in advance like the Egyptians did—in Egypt, they appeared to have a plan and studied quite some time in advance to develop a program of non-violence without fear, which brought them victory quite quickly. In Libya, this appears not to have been the case. 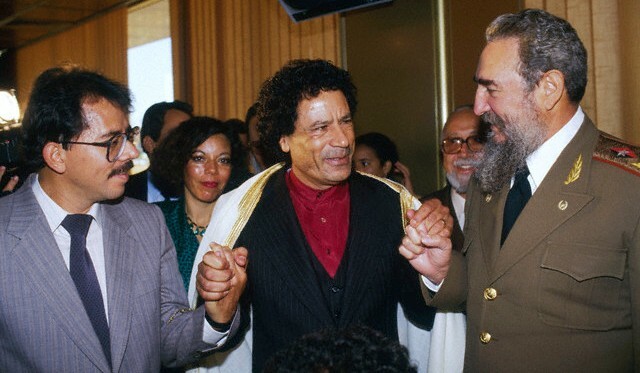 The Libyans have gotten in over their heads, and should have expected the type of repression that Gaddafi is capable of. People who are realistic about the power of political defiance know that if it is a threat, the regime will see it that way and will fight back. The regime will jail and beat and kill, and that is a sign that what you are doing is threatening the regime. 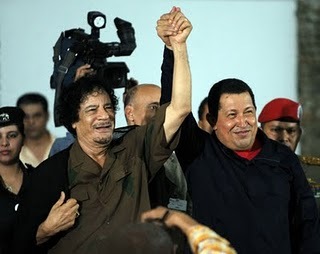 Dictators can beat you with violence, if you fight on those terms, and of course the rebels cannot defeat the Gaddafi regime on the level of armed force. So they are left to call in help from outside, which cannot give them the empowerment or victory they seek. Q: Do you think that when legitimate peaceful protest—such as in Burma—is met with state violence, the protesters then have the right to self-defense? To fight back? To seek alliances with sympathizers in the country's police and army? To appeal for international military support, as the Libyan rebels have done? A: I think it is an unfortunate choice that people make. It is predictable that your opponent will have the means of violence, the means of oppression. If you get someone else to come and help you, they will come with their interests, and potentially turn your country into a battlefield. Even if they help defeat the oppressor, it will not result in empowerment. People will not be ready to fight the next oppressor who tries to take over the country. In contrast, if the Egyptian military tries again to take control, the people know how to counter this, they have the sense of empowerment, of their own power. Ultimately, in any non-violent resistance, you have to plan, you have to study. You have to know what the hell you are doing. Q: You have been credited with influencing the actions of thinkers and doers around the world. But who has influenced you? A: I have learned from the many people I have met around the world over the decades, but have no single guiding light. I learned from Gandhi, that is, Gandhi as a shrewd political strategist. I learned from the Norwegian resistance against the Quisling fascist government during World War II. I learned from the non-violent resistance undertaken by Baltic countries—Estonia, Latvia and Lithuania—whose governments also read some of my work. I don't have any political doctrine, no political messiah, just my own thinking and learning, for the most part. In our little room, he told us that morning about the time he had spent in the USSR. He’d only been in Havana a few hours, after an Aeroflot plane had brought him back from his long sojourn in the land of Gorbachev. The gothic letters on his diploma showed he’d graduated from the university in some kind of engineering my childish mind couldn’t understand. It was the first time I’d heard about the Juraguá nuclear reactor, which was built in Cienfuegos in 1983. The recent arrival’s voice described an enormous VVER 440 reactor located in central Cuba as if it were a live dragon breathing its whiffs on us. Hundreds of young people, trained in research centers nearly 6,000 miles from home, would work there as atomic scientists. Millions and millions of rubles arriving from the Kremlin helped to construct what would be the pinnacle of our “tropical socialism,” the fundamental pillar of our energy independence. Later I learned that this young enthusiast never worked as a nuclear engineer. The Soviet Union was dismembered just as the first of two planned reactors was 97% complete. Grass covered a good part of the site, and exposure to the elements broke down everything from pieces of the core, to the steam generators, the cooling pumps and the isolation valves. Juraguá became a new ruin, a monument to the delusions of grandeur left us by Soviet imperialism. With his graying temples, while cutting metals in his new career as a lathe operator, the one-time expert told me now, “It was lucky we didn’t start it up.” According to what he and his colleagues had calculated, the chances of an nuclear accident at Juraguá were 15% more than at any other nuclear plant in the world. “We would have ended up with the island cut in half,” he said dramatically. I imagined a piece of the nation here and another over there, while a stubbornly smoking hole changed our national geography. Now that the plant in Fukushima is spreading its residues, and with them fear, I can’t but rejoice that the Cienfuegos reactor has not awakened, that under the concrete sarcophagus a nuclear reaction hasn’t started. Thinking about all that has happened, all of our current problems seem small to us, insignificant trifles compared to the horrifying spread of radioactivity. Amnesty International has urged the Cuban authorities not to force activists into exile after the final two activists from a group of 75 detained in March 2003 were freed. José Ferrer and Félix Navarro were released early on Wednesday. They were each serving a 25-year prison sentence. The men are among 52 released in a deal struck after talks between the Roman Catholic Church and Cuban President Raul Castro last July. Some of those released have stayed in Cuba serving the remainder of their sentences outside prison while others have been forced into exile to Spain. "It is a step in the right direction for human rights in Cuba to see the release of all prisoners of conscience from the March 2003 crackdown and another detained last December, particularly considering they should have never been imprisoned in the first place," said Gerardo Ducos, Cuba researcher at Amnesty International. "What we want to see now is for the Cuban authorities not to force activists into exile as a condition for their release and to ensure all human rights activists are able to carry out their legitimate work without fear of threats, harassment, further arrests or unfair trials in their own country." Seventy-five people were jailed in a massive crackdown against the dissident movement around 18 March 2003 for the peaceful exercise of their right to freedom of expression. Most of them were charged with crimes including “acts against the independence of the state” because they allegedly received funds and/or materials from US-based NGOs financed by the US government. They were sentenced to between six and 28 years in prison after speedy and unfair trials for engaging in activities the authorities perceived as subversive and damaging to Cuba. 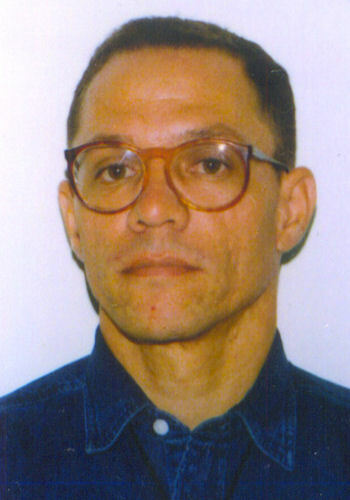 Prisoner of conscience Néstor Rodríguez Lobaina was arrested on 9 December 2010 and has yet to be brought to trial. He is set to be released in the upcoming days on condition of leaving Cuba into exile. The Chinese authorities should immediately release prominent pro-democracy activist Liu Xianbin, Amnesty International said today, after the dissident was jailed for 10 years for writing articles critical of the government. “The Chinese authorities are shooting the messenger rather than heeding the message, when even Premier Wen Jiabao has acknowledged the need for political reform” said Catherine Baber. Liu Xianbin was convicted by a court in Sichuan province of ‘inciting subversion of state power’ in a trial that lasted only a few hours. This is the third time Liu Xianbin has been imprisoned for his political beliefs and activism. After his last release from prison in late 2008, Liu became a public signatory to the ‘Charter 08’, a proposal for legal and political reform that was co-authored by Nobel Laureate Liu Xiaobo. He also published numerous articles online and in journals about democracy and human rights, which were critical of Chinese government repression. Arrested again in June 2010, the high-profile dissident had been out of prison for less than two years. Local activists believed his arrest was a punishment for his continued activism. Liu has previously served nine years of a 13-year sentence for ‘subverting state power’ due to his CDP activism in the 1990s, and two and a half years after his participation in the student democracy movement of 1989. China should release a veteran democracy activist instead of putting him on trial tomorrow, Amnesty International has said. Liu Xianbin is being tried in Sichuan province for “incitement to subvert state power” over articles he wrote in 2009 that urged democratic reforms. The 43-year-old became an activist during the 1989 student-led democracy movement, and was a founder of a local branch of the banned China Democracy Party (CDP). Liu has been denied access to lawyers for months. The charge of ‘inciting subversion’ could see him facing up to five years imprisonment, or longer if the court considers his crime to have been especially grave. Arrested in June 2010, the high-profile dissident had only recently been freed from prison after serving nine years of a sentence for ‘subverting state power’ due to his CDP activism in the 1990s. His wife has not been allowed to see him since he was detained. Local activists have told Amnesty International that they believe Liu was arrested again as punishment for continuing his activism after his release from prison in late 2008. Once out of prison, Liu became a public signatory to the ‘Charter 08’, a proposal for legal and political reform that was co-authored by Nobel Laureate Liu Xiaobo. He also was a prolific writer of online articles about democracy and human rights, which were critical of Chinese government repression. “Liu Xianbin was brave and persistent enough to keep speaking out for human rights even after spending years in prison. China should be celebrating this kind of courage, not punishing it” said Sam Zarifi. "As we inaugurate this new international observance, let us recognize the indispensable role of the truth in upholding human rights – and let us pledge to defend the right to the truth as we pursue our global mission of human rights." 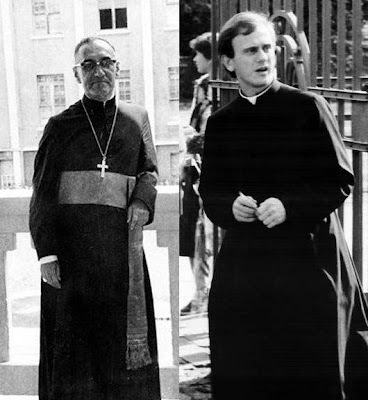 Archbishop Oscar Arnulfo Romero, of El Salvador (on the left) was assassinated on March 24, 1980 and Father Jerzy Popiełuszko, of Poland was tortured and assassinated on October 19, 1984. Recognize, in particular, the important work and values of Archbishop Oscar Arnulfo Romero, of El Salvador, who was assassinated on 24 March 1980, after denouncing violations of the human rights of the most vulnerable populations and defending the principles of protecting lives, promoting human dignity and opposition to all forms of violence. "The church always stands on the side of truth. The church always stands on the side of people who are victimized. Today the church stands on the side of those who have lost their freedom, whose conscience is being broken. Today the church stands on the side of Solidarity, on the side of the working people, who are often placed in one line along with common criminals. Dedication to freedom is tightly knit with human nature and with mature national awareness. This dedication is intertwined with the law and duty. It is intertwined with the law, and thus every man and every nation must experience the suppression of freedom as painful and unjust." Since 1993 hundreds of women have been raped, tortured and murdered in Juárez, Mexico with impunity in what amounts to a femicide. One year, one month and one day ago Cuban prison officials announced the death of prisoner of conscience Orlando Zapata Tamayo at 3:00pm. He had suffered beatings, torture, and years added to his unjust prison sentence because Orlando continued to denounce human rights abuses in prison. He refused to look the other way and remain silent. The secret police and prison guards drove him to the last recourse of a non-violent activist: the hunger strike. Even there the regime sought to torture and humiliate denying a man on a water only hunger strike - water. It is believed that act of torture contributed to the failure of his kidneys and to his death. It has been said that he died for the dignity of all Cubans. Even today the dictatorship and its apologists continue to attack and smear this human rights defender. 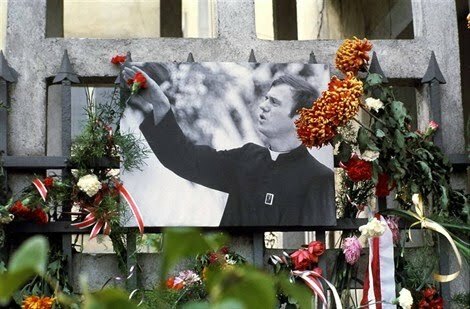 It is for that reason that especially on this day that Orlando Zapata Tamayo be remembered. The right to the truth and the defense of the dignity of the victims are crucial elements in the process of obtaining justice. In addition it is a long known truth recorded in history by the great Roman statesmen Marcus Tullius Cicero that "The hope of impunity is the greatest inducement to do wrong." Exposing the truth about these crimes and defending the dignity of the victims while seeking to hold those responsible accountable both under the rule of law and by the judgment of history will provide the greatest amount of justice that humanity can provide limiting impunity and the repetition of these crimes. In 1959 the Castro regime seized power in Cuba at gun point then outlawed all political opposition along with free speech and association. Over the next 52 years a Stalinist regime led by Fidel Castro built a repressive apparatus that systematically denied and today continues to deny human rights to all Cubans. Ten years later in 1969 Muammar al-Gaddafi seized power in Libya at gun point and initiated 42 years of a nightmarish dictatorship. The world just learned that Fidel Castro supposedly resigned his post as Communist Party Chief five years ago in 2006 because he said so today. The press is reporting this as if it had some importance. The press forgets that Muammar al-Gaddafi in 1979 resigned all his posts and the Libyan government claims that he holds no formal position today yet he is the de facto head of state. The important question is not what title different members of the dictatorship have but when will the Castro brothers and their co-conspirators renounce their ways or be driven from power so that Cubans can regain their sovereignty? 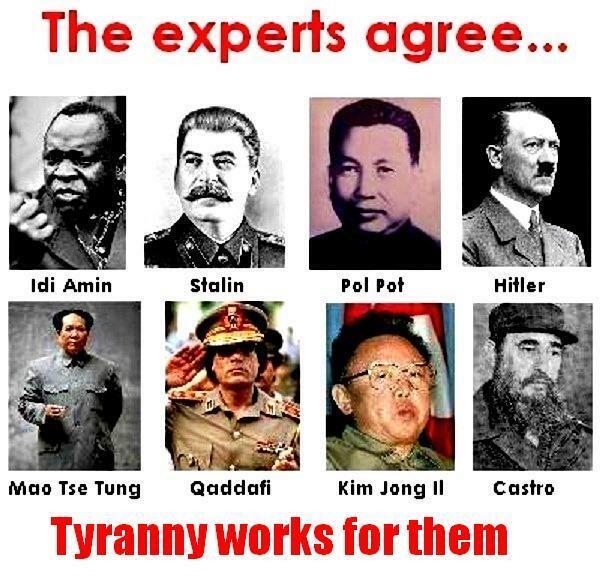 Without a doubt the regime in Cuba like that of Libya has demonstrated its power to impose fear on the populace but as it defames, imprisons and attacks dissenters it demonstrates that it has no authority.The dictatorship in Cuba has power but no authority to back it up and by Jacques Maritain's definition it is an example of tyranny. Tyrants don't respect constitutional titles and procedural niceties which explains why it matters not if Fidel Castro resigned this or that title because as long as he and his brother exercise their tyrannical rule it does not matter as Muammar al-Gaddafi, the de facto leader of Libya, has demonstrated in Libya since 1979. The following are a series of brief reflections by thinkers stretched out over centuries on the nature of tyranny. [W]hen a people shall have become incapable of governing themselves and fit for a master, it is of little consequence from what quarter he comes. Half the harm that is done in this world is due to people who want to feel important. They don't mean to do harm-- but the harm does not interest them. Or they do not see it, or they justify it because they are absorbed in the endless struggle to think well of themselves. Conversación entre blogueros y miembros de la sociedad civil: Reinaldo Escobar, Yoani Sanchez, Dagoberto Valdez, Dimas Castellanos, Miriam Celaya y el abogado Wilfredo Vallín. Conversan sobre las realidades del ciberespacio, las leyes cubanas, y los derechos de los ciudadanos en Cuba. El moderador de la conversación es Reinaldo Escobar. Conversation between bloggers and civil society members: Reinaldo Escobar, Yoani Sanchez, Dagoberto Valdez, Dimas Castellanos, Miriam Celaya and the attorney Wilfredo Vallín. A conversation about the realities of cyberspace, Cuban laws, and the rights of citizens in Cuba. the moderator of the conversation is Reinaldo Escobar. Former President of the Czech Republic Vaclav Havel welcomed the release of the Cuban prisoner of conscience Óscar Elías Biscet González on March 11, 2011. 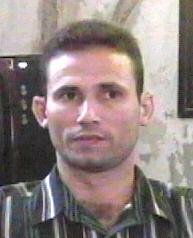 One of the most important Cuban dissidents, Biscet belonged to the "Group of 75" imprisoned in March 2003. Peacefully promoting human rights and democracy in Cuba, he spent the majority of the last 12 years in prison. The letter was published by the Czech Embassy in Washington DC. This is not the first time President Havel has exchanged letters with a Cuban dissident. Back in 2004 he had an exchange of letters with Oswaldo Payá Sardiñas. I have always believed that the persecution and imprisonment of the Cuban opposition has been and continues to be an unlawful and brutal violation of the basic human rights and freedoms of people. The international solidarity and focused diplomatic attention have been effective and, because of this, the Cuban government has been forced to release some of the prisoners of conscience. I am glad I can now congratulate you, but, at the same time, I have not forgotten the other prisoners and I am determined to continue to call attention to their plight. Eight years ago on March 18, 2003 the dictatorship in Cuba began a massive crackdown rounding up leaders of Cuba's civic society in an operation which it claimed would destroy the Cuban democratic opposition. Seventy five of these opposition leaders were sentenced to lengthy prison sentences and declared prisoners of conscience by Amnesty International. 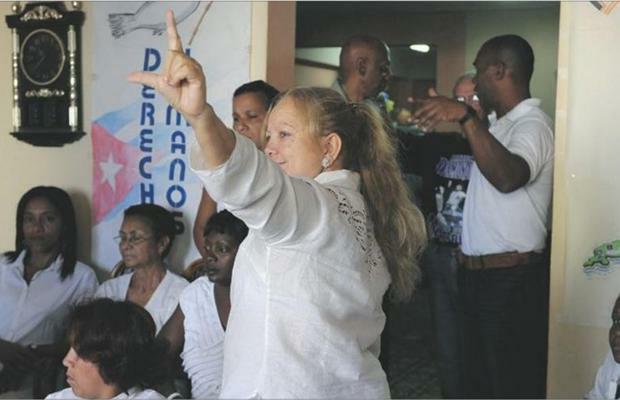 Instead it led to worldwide condemnation of the regime, and the emergence of the Cuban Ladies in White, a group of women dedicated to obtaining the release of their unjustly imprisoned husbands, fathers, brothers and sons. Eight years later all but two of the group of the 75 remain in prison: Felix Navarro and Jose Daniel Ferrer Garcia. Sadly, that does not mean things have gotten better. Scores of political prisoners remain imprisoned and new ones await show trials in the days that follow. In addition the Castro regime organized rent a mobs to harass and assault the Ladies in White eight years to the day of their loved ones' detentions and unjust imprisonments in what became known as the Black Spring. Activists were detained prior to and on the morning of March 18 to avoid having them carry out activities of remembrance on this day. For example, Yoani Sanchez reported various detentions in the early morning hours, among them Cuban blogger Katia Sonia who had been detained at 5:00am as she attempted to reach the home of Laura Pollan, one of the leaders of the Cuban Ladies in White. Laura Pollan's home had been surrounded by State Security to arrest anyone trying to reach her home. Although last year's observance was marked by violence carried out by rapid response brigades and State Security agents this year was particularly poignant because the world learned in real time that the dictatorship obligated university students to participate in the act of repudiation. Education is not free in Cuba and in some ways is the most expensive in the world. What price do you place on your dignity or your soul? At 11:02am on March 18, 2011 the dictatorship organized a rent-a-mob of students from the CUJAE to carry out an attack on the Ladies in White in a so-called "act of repudiation." According to Yoani Sanchez, the CUJAE is the university of specialties in engineering and the students are frequently used as shock troops. She concludes tweeting that "the university in Cuba is not really free, you pay with the currency of ideological submission, and being turned into shock troops. Fear of repression shapes behavior, pressuring Cubans to participate in pro-government activities and discouraging them from voicing dissent or participating in activities that may be perceived as “counterrevolutionary.” Individuals who express unpopular political views live in constant fear of being harassed, beaten, or arrested. In addition students that do not go along with regime activities are expelled from university. If you want to complete your university education then when you are told to harass and assault the Ladies in White you have a choice to make. Expulsion from university and identification as a dissenter that will also place your family under a microscope by State Security that may open them to rent-a-mobs visiting their home. 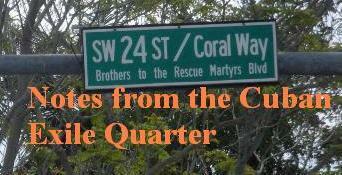 A day later, on Saturday March 19, 2011 the rent-a-mobs returned to Laura Pollan's home and continued to harass these courageous Cuban women. Either way it is a high price to pay for an education. The Cuban authorities are continuing to stifle freedom of expression on the island in spite of the much-publicized recent wave of releases of prominent dissidents, Amnesty International warned ahead of the eighth anniversary of a crackdown on activists. Hundreds of pro-democracy activists have suffered harassment, intimidation and arbitrary arrest in recent weeks as the Cuban government employs new tactics to stamp out dissent. Of 75 activists arrested in a crackdown around 18 March 2003, only three remain in jail after 50 releases since last June, with most of the freed activists currently exiled in Spain. Amnesty International has called for the remaining prisoners to be released immediately and unconditionally. "The release of those detained in the 2003 crackdown is a hugely positive step but it tells only one side of the story facing Cuban human rights activists," said Gerardo Ducos, Cuba researcher at Amnesty International. "Meanwhile, three of the prisoners detained eight years ago still languish in prison and must be freed immediately." In one recent crackdown the authorities detained over one hundred people in one day in a pre-emptive strike designed to stop activists marking the death of activist Orlando Zapata Tamayo, who died following a prolonged hunger strike while in detention. On 23 February, the one-year anniversary of Tamayo's death, according to the Cuban Commission of Human Rights and National Reconciliation, the authorities placed over 50 people under house arrest before freeing them hours later. Activist Néstor Rodríguez Lobaina, was recently named a prisoner of conscience by Amnesty International after being detained without trial for over three months. The president of the Cuban Youth Movement for Democracy was arrested after organizing an activists' meeting inside his own home. "Cubans are still at the mercy of draconian laws that class activism as a crime and anyone who dares to criticise the authorities is at risk of detention," said Gerardo Ducos. "In addition to releasing long-term prisoners of conscience, to properly realize freedom of expression the Cuban government also has to change its laws." Seventy-five people were jailed in a massive crackdown against the dissident movement around 18 March 2003 for the peaceful exercise of their right to freedom of expression. Most of them were charged with crimes including “acts against the independence of the state” because they allegedly received funds and/or materials from US-based NGOs financed by the US government. 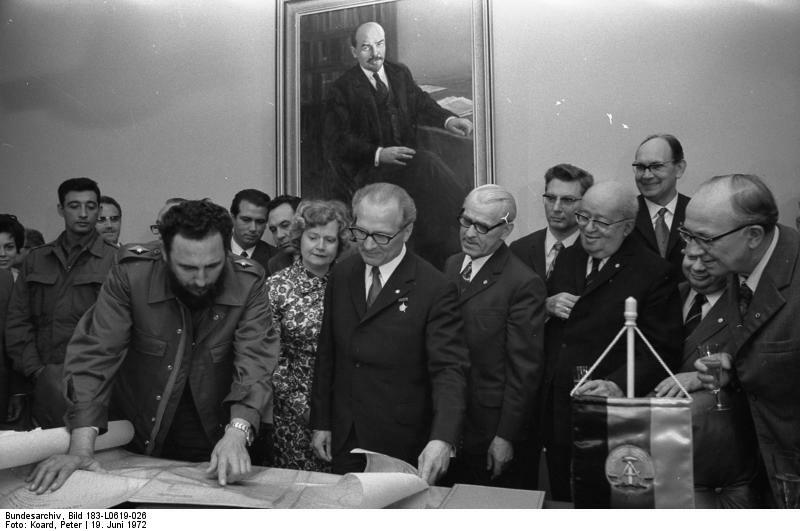 These activities included publishing articles or giving interviews to US-funded media, communicating with international human rights organizations and having contact with entities or individuals viewed to be hostile to Cuba. Luis Enrique Ferrer Garcia, Cuban dissident and former prisoner of conscience who received a 28-year prison sentence for his work on the Varela project, a civic initiative calling for democratic reforms in Cuba will join other former prisoners of conscience today for the third annual Geneva Summit for Human Rights and Democracy. Luis Enrique, who served nearly 8-years of his 28 year jail term in Cuba for his nonviolent civic activism and was released in November 2010, will speak about the situation of his imprisoned brother Jose Daniel Ferrer Garcia, who is still in Cuba serving a 25-year prison sentence and is also an Amnesty International prisoner of conscience. 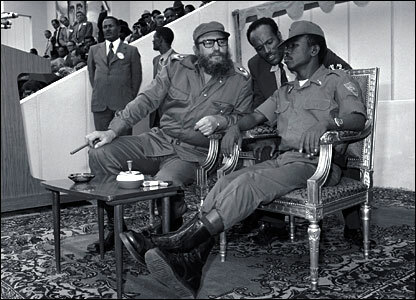 Brothers José Daniel and Luis Enrique Ferrer García, both unjustly imprisoned by the Castro regime during the 2003 “Black Spring”crackdown, come from a working class family from the neighborhood of Manganeso in Santiago de Cuba. Luis Enrique Ferrer was harassed and detained on numerous occasions. 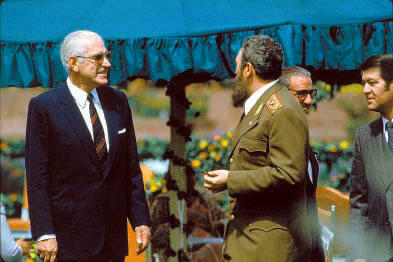 Both brothers began their activism in the opposition in the Movimiento Cubano de Jóvenes por la Democracia (Cuban Youth for Democracy Movement), and by the mid nineties had become members of Movimiento Cristiano Liberación (Christian Liberation Movement), as a leader of which José Daniel emerged in Eastern Cuba. For his opposition activities in Movimiento Cristiano Liberación (Christian Liberation Movement), he was summarily tried in December 1999 in the Mella Municipality and sentenced to 6 months house arrest for his refusal to pay a fine which he claimed was imposed upon him unfairly. At his trial, when asked why he did not accept the Revolution, he responded that he did not accept it because life for people was very bad. At that moment a State Security agent participating in the trial struck him in the face, breaking his lower lip. During his trial, Luis Enrique Ferrer's family members were denied access to the court room, instead having to wait in the corridor. At the end of the trial, a mob insulted and physically assaulted family members, including pushing Luis Enrique Ferrer's mother to the floor. Luis Enrique Ferrer García was the coordinator of the Christian Liberation Movement (Movimento Cristiano Liberación-MCL) in Las Tunas province. He organized groups of people who collected hundreds of signatures for the Varela Project. As a result of this work by organizers like Luis Enrique Ferrer and his older brother, independent journalist José Daniel Ferrer, over 11,020 signatures were collected and presented to the National Assembly in May 2002. Luis Enrique Ferrer personally presented copies of the signatures to visiting foreign legislators. Despite the fact that the Varela Project calling for democratic reforms in Cuba was an initiative that was legal under the Cuban regime’s laws, they were taking a great personal risk in promoting it. Beginning on March 18, 2003, the Castro dictatorship began a massive crackdown, rounding up scores of human rights defenders, independent journalists and opposition activists in what eventually became known as the Cuban Black Spring. Both José Daniel and Luis Enrique Ferrer García were arrested. Luis Enrique Ferrer received the longest prison sentence of all of those arrested in the March 2003 crackdown. He was sentenced to 28 years’ imprisonment. He was transferred from "El Típico" provincial prison in Las Tunas to Combinado del Este prison after being involved in a protest with other activists caught up in the March 2003 crackdown. Following the death of Orlando Zapata Tamayo on February 23, 2010 and brutal assaults against the Cuban Ladies in White in March of 2010, international attention focused on Cuba in a negative light, which forced the regime for the first time in a the long history of dictatorship to reach out to the Catholic Church as a mediator. In July of 2010, Raul Castro committed to releasing all the prisoners of conscience from the 2003 crackdown by November 5, 2010. Luis Enrique Ferrer Garcia was released in mid November and exiled to Spain. His brother Jose Daniel, who wants to remain in Cuba, is still imprisoned today. * Guang-il Jung: North Korean Dissident, tortured and escaped from labor camps. Admission to tomorrow’s Geneva Summit is free, and the public and media are invited to attend. For accreditation, program and schedule information, please visit http://www.genevasummit.org. Global Civil Society Coalition: Collectif Urgence Darfour; Darfur Peace and Development Center; Directorio Democratico Cubano; Freedom House; Freedom Now; Human Rights Without Frontiers Int’l; IBUKA; Ingénieurs du monde; Initiatives for China; Inter-African Committee on Traditional Practices Affecting the Health of Women and Children; International Federation of Liberal Youth (IFLRY); Ligue International Contre le Racisme; LINK; Respect Institut; Stop Child Executions; Tibetan Women's Association; Ticino Tibet; Uighur American Congress; UN Watch; Viet Tan. The Geneva Summit is organized by a cross-regional coalition of 20 NGOs, including UN Watch, Freedom House and Ibuka, with the aim of providing a voice for the voiceless and advocating action on urgent human rights situations. The conference will feature victim testimonies from renowned human rights defenders, dissidents and experts, and produce draft resolutions for the UN Human Rights Council to adopt. For more on the conference, speakers and program, click here. Yang Jianli, the world-renowned Chinese dissident and survivor of the 1989 Tiananmen Square massacre, will join other former prisoners of conscience tomorrow for the third annual Geneva Summit for Human Rights and Democracy. Dr. Yang, who served a five-year jail term in China for his social activism, will speak about the situation of jailed writer Liu Xiaobo, whom he represented at the Oslo Nobel Peace Prize ceremony in December. The Chinese government has been criticized by human rights groups and the U.S. State Department for gross and systematic violations of basic rights such as freedom of speech, freedom of assembly and freedom of religion, and for oppressing minority groups. Liu Xiaobo, a Chinese literary critic, writer, professor, and human rights activist was sentenced to 11 years in prison last year for “inciting subversion of state power.” His receipt of the 2010 Nobel Peace Prize turned a global spotlight on the human rights situation in China, which is currently witnessing a brutal crackdown by authorities fearful of the freedom revolutions that have spread in the Middle East. With Liu in jail, and his wife and supporters placed under house arrest by the Chinese government, Yang Jianli, as a friend of the couple and fellow activist living in exile in the U.S., was appointed by Liu’s wife, Liu Xia, to be the peace award winner's representative and spokesman at the Nobel Peace Prize ceremony. Yang played a key role in preparations for the ceremony, organizing a delegation of exiled dissidents to be present and publishing an open letter imploring the Chinese government to let Liu Xia come to Oslo to accept her husband’s award. Like Liu, Yang was a participant in the Tiananmen democracy movement in 1989, and considers the June 4 crackdown to be a turning point in his life. "I saw tanks rolling over students," he says. "I felt China had no choice but to change." While in the United States doing pro-democracy work, his passport expired and the Chinese government refused to issue him a new one. When he tried to return to China in 2002 to observe labor unrest he was arrested and jailed for five years. He now lives in exile in the U.S., where he heads the Foundation for China in the 21st Century, which advocates political transition and supports rights activities on the mainland. Despite his personal experiences, Yang remains hopeful about the future of democracy in China. "I am always optimistic," he says. "On the surface you can only see the hardening of China's attitude, but the real change is in people's hearts. You can feel the change already in China." At the Geneva Summit tomorrow he will offer his take on the human rights situation in China in the aftermath of Liu Xiaobo’s Nobel Prize. Dechem Pemba, a UK-born Tibetan and editor of the website High Peaks Pure Earth, on which Tibetan blogs written in Tibetan and Chinese are translated into English. 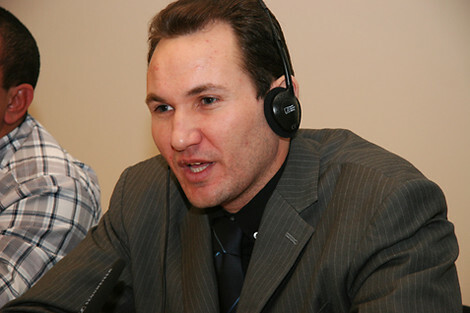 Bahtiyar Ömer, a Uyghur human rights activist whose wife, Gulmire Imin, received life in prison for her role as an “illegal organizer” during the 2009 demonstrations. Ti-Anna Wang, the daughter of Bingzhang Wang, a Chinese dissident serving a life sentence in solitary confinement, and one of the founding members of the overseas Chinese Democracy Movement.